Hatteland Display returns to Oslo once again during Nor-Shipping 2009 with a dedicated 'showroom' at the Felix Conference Centre (room Titania), located in the Aker Brygge district of Norway's capital. The Norwegian leader in marine display and computer technology will open its invite only showroom on 10th - 11th June in order to better demonstrate the latest developments in its technology and product portfolio, which includes the launch of new widescreen displays and a sophisticated new standalone computer solution. "We are in a unique position that many of the stands at Nor-Shipping, especially those of the main electronics systems integrators already feature Hatteland Display products. This is why we like to do things differently when the marine industry is in town. Although away from Nor-Shipping itself, the Aker Brygge showroom has proven a great success in the past as it allows us to provide in-depth product demonstrations and great hospitality. 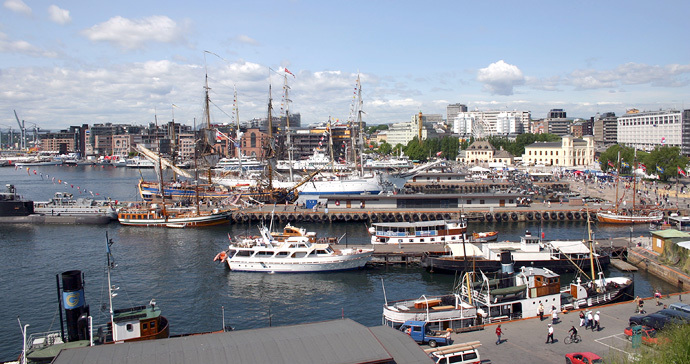 We are confident that it will be just as busy in 2009 as it has been in previous years," comments Trond K. Johannessen, President and CEO, Hatteland Display. The new, award winning HT C01 standalone computer will be shown to the marine industry for the first time in the Hatteland Display showroom. It is based on the latest available computer technology but due to Hatteland Display's efficient production methods, and design for mass production it is low in cost compared to similar marine computers on the market, making it the ideal choice for all merchant and passenger vessel applications. Inside the sleek new design of the outer casing is a computer designed specifically for the marine environment with excellent resistance to overheating and vibration, having already passed the vibration test for Type Approvals at DNV. Hatteland Display will unveil new widescreen display models at its showroom during Nor-Shipping. These new widescreens, including a 22" model, benefit from Hatteland Display's optical bonding technology and are available straight from the factory as ECDIS compliant. They are designed to be delivered with either AC or DC input as standard and connections include DVI-I in, RGB out, RGB in, IEC inlet, IEC outlet and USB I/O. They are also prepared for use with the new HATTELAND® Multifunction Connector, which allows the connection of many common signal types through a single cable connection. Hatteland Display will also exhibit its leading Series 1 redesign range of proven marine displays and panel computers. 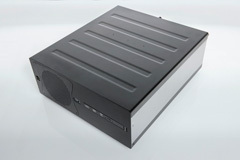 The Series 1 redesign product line builds on the company's de facto industry standard Series 1 by offering improved functionality and connectivity in addition to being a more cost effective proposition. Several Series 2 units will also be available for demonstration to visitors in the showroom.